Has it been a while since you’ve enjoyed your favorite deli sandwich? 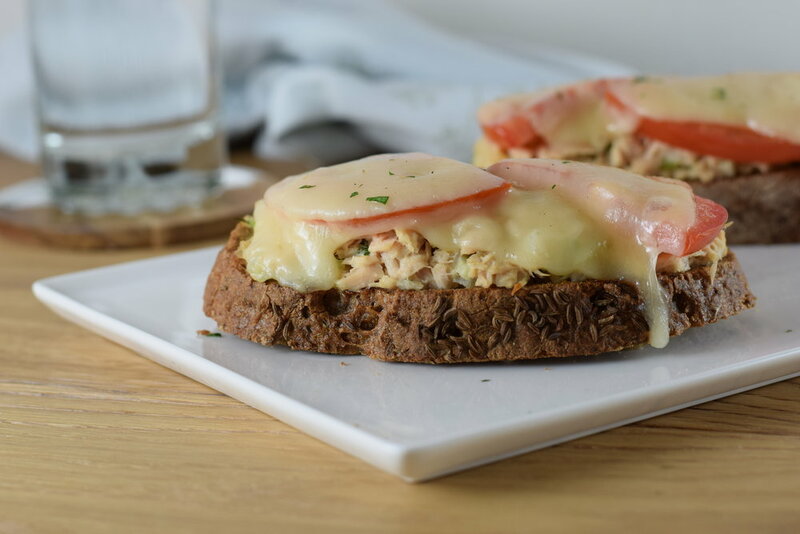 If tuna melt is your thing, this combo of TML caraway sourdough with tuna salad, tomato, and melted cheese will bring back those special memories! Spread 1/2 teaspoon butter on each slice of bread, arrange on a small sheet pan and toast under broiler, just until golden and a bit crunchy. Leave broiler on. While bread is toasting, add tuna, celery, mayonnaise, onion, mustard, vinegar and herbs to a medium bowl. Season with salt and pepper to taste. Mix well to combine. Divide tuna mixture evenly among the 4 toasts, and top each one with 2 slices of tomato. Cut cheese slices to fit bread if necessary, and lay cheese over tomato. Slide pan under broiler just until cheese melts.